As part of the EU-JDID project in Jordan, we conducted a training session for approximately 55 young political and civic actors on 26 May. 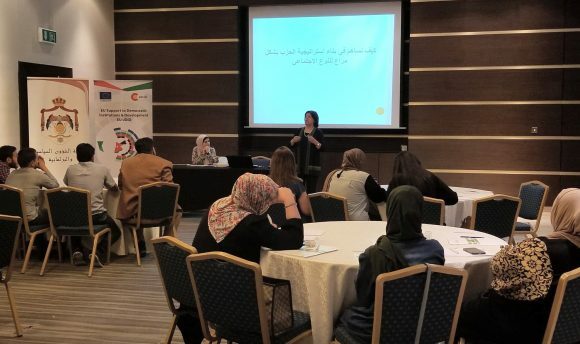 The training, held in cooperation with the Jordanian Ministry of Political and Parliamentary Affairs, focused on the topic of women in politics. The participants learned how to support gender mainstreaming in internal political party decision-making processes and structures. 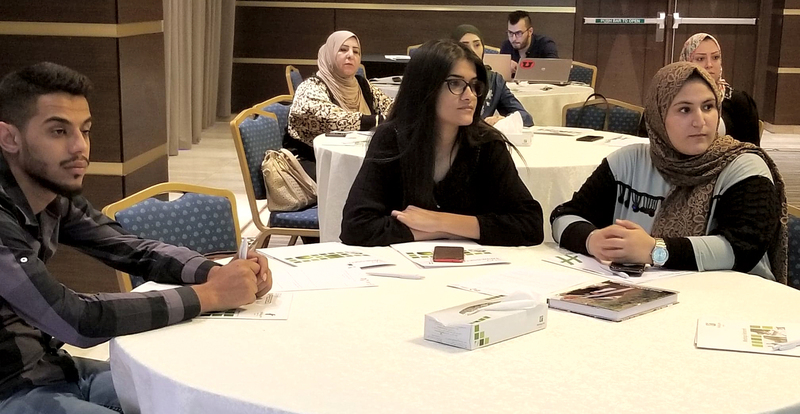 This included a teamwork activity, which gave the participants an opportunity to develop their own strategies to break down barriers to women in political parties. As a recognition of creativity and teamwork, a symbolic gift was given to the winning group. H.E Abla Abu Elbeh, Secretary General of the Jordanian People’s Democratic Party (HASHD), hosted this session. She represented a role model for many of the participants, and drew on her long experience in the political party field and as a former Member of Parliament. NIMD is part of a four-year project, starting in 2017, entitled “EU Support to Jordanian Democratic Institutions & Development (EU-JDID)”, which aims to support Jordan’s reform process towards the consolidation of deep democracy. In addition, the project promotes the inclusion of women and young people in national policy and decision-making processes, leading to a more tolerant and democratic political culture. The project is funded by the European Union and implemented by a Consortium led by the European Centre for Electoral Support (ECES) and composed of the European Partnership for Democracy (EPD), the Westminster Foundation for Democracy (WFD), the French Agency for Media Cooperation (CFI) and NIMD.